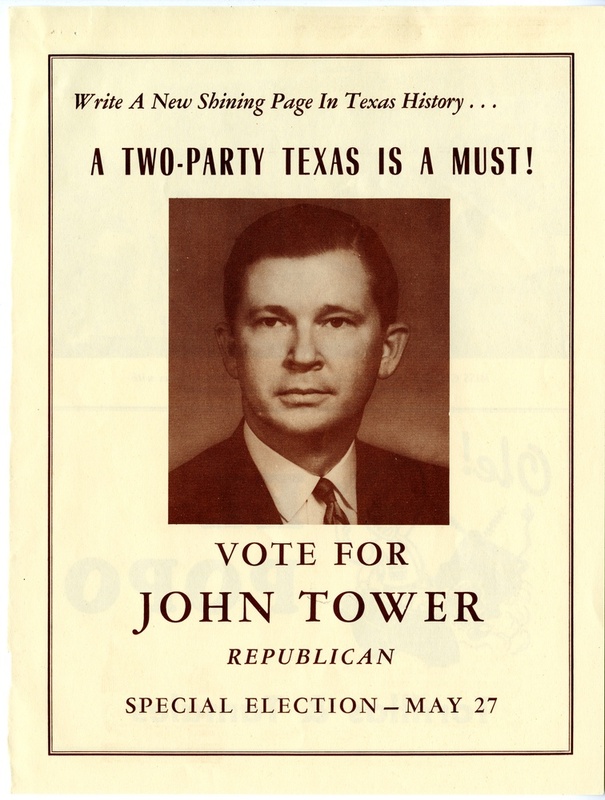 In 1961, John Tower won a special election for U.S. Senate and became the first Texas Republican elected statewide since Reconstruction. 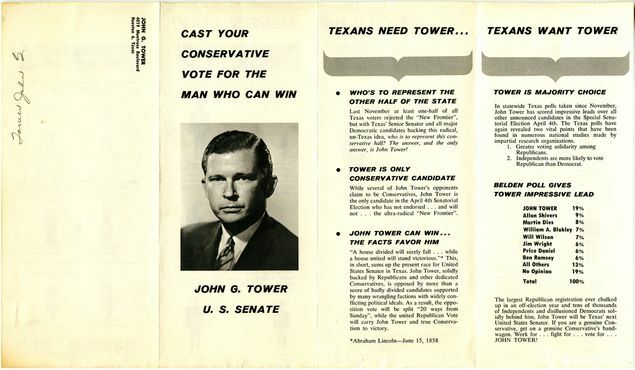 A look at his campaign fliers and brochures shows how he did it. In 1961, John Tower won a special election for U.S. Senate and became the first Texas Republican elected statewide since Reconstruction. 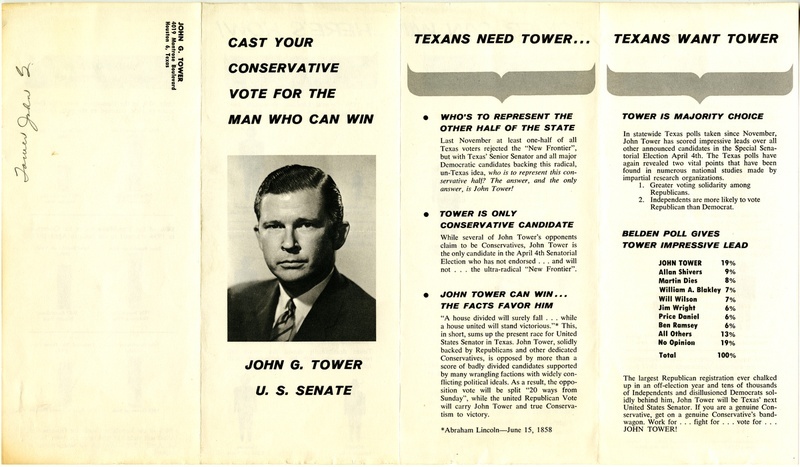 His campaign fliers and brochures, part of the John G. Tower Collection at Southwestern University, show Tower's efforts to court conservative Democrats and convince them that a Republican could win in Texas. 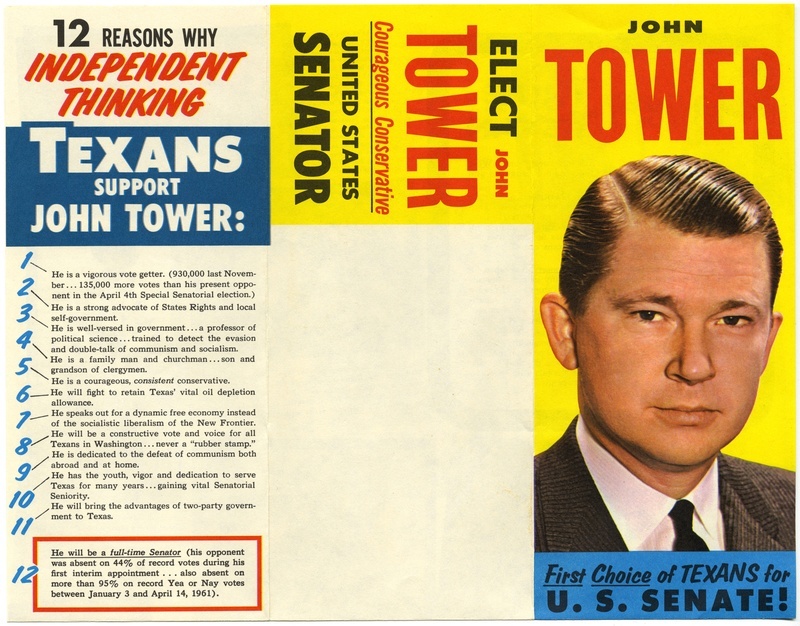 A campaign brochure in which Republican John Tower encourages "independent thinking Texans" to consider voting for him over his runoff opponent, Democrat William Blakley. A campaign flier in which Tower touts the value of a "two-party Texas." 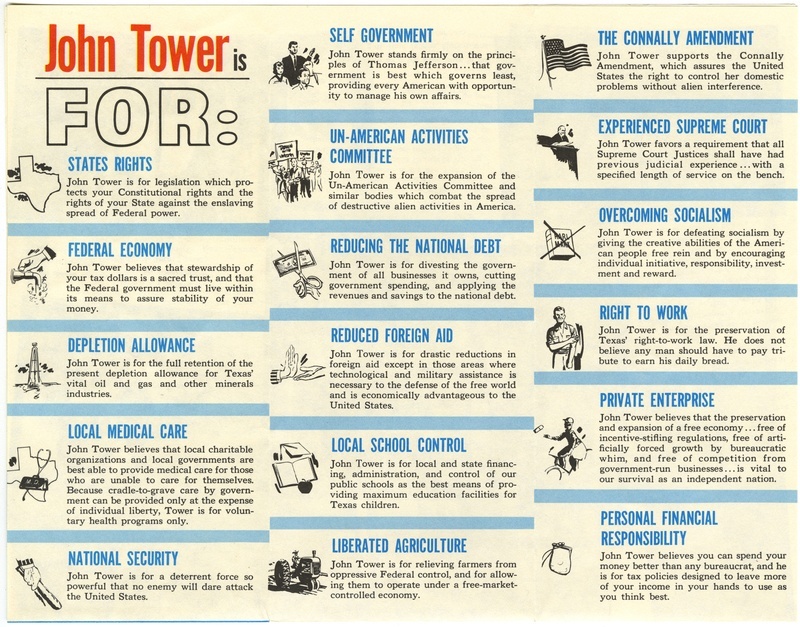 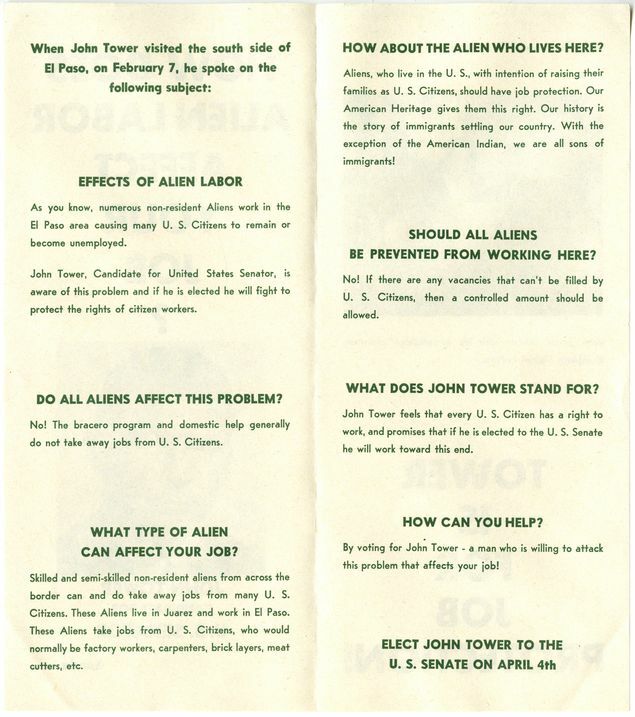 A campaign publication outlining Tower's positions, many of which are similar to views promoted by Texas Republican candidates today. 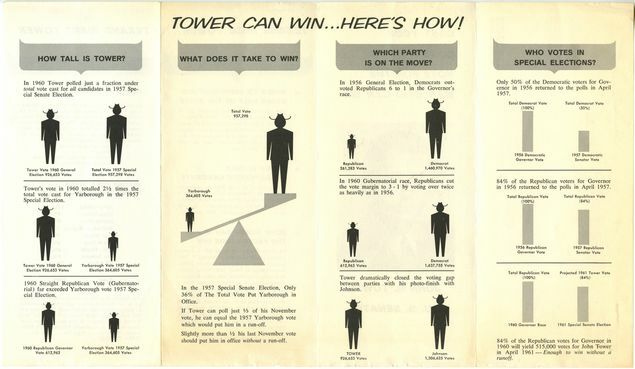 The front of a Tower campaign brochure in which he frames himself as "the man who can win." The back of the same brochure. 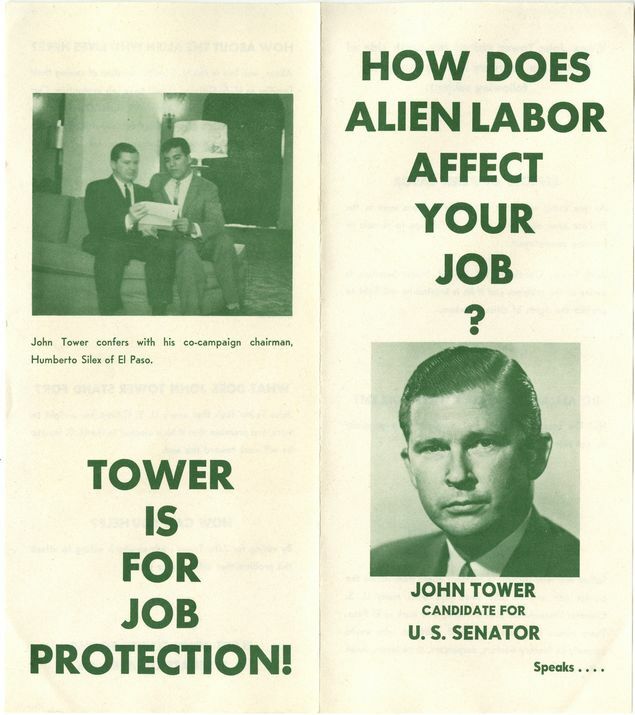 A Tower campaign brochure focused on the number of Mexicans working in the U.S. 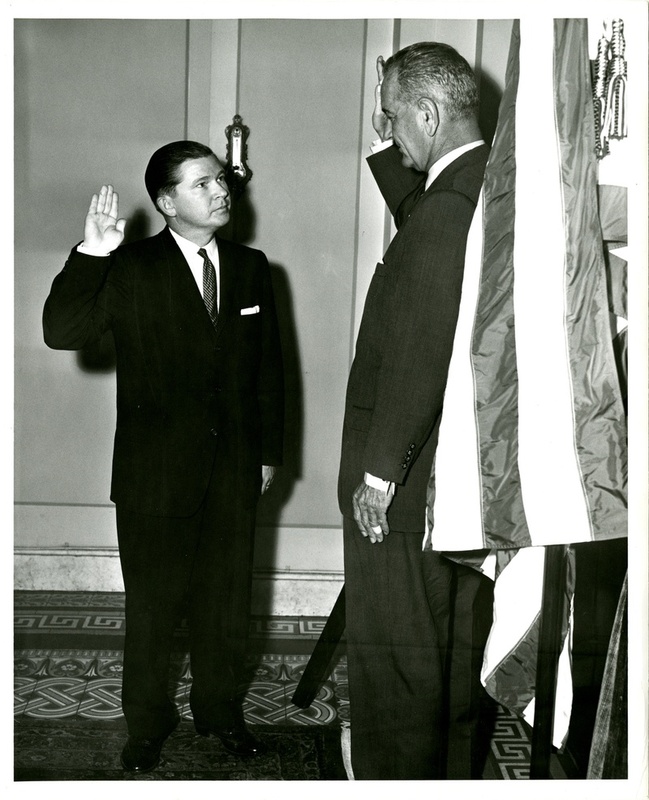 In June 1961, Tower was sworn in to the U.S. Senate by Vice President Lyndon B. Johnson, who held the same Senate seat in the previous year.